Shot on location across the country, The American Farm is an authentic portrait of the fight to go from seed to stalk, and from farm to fork. 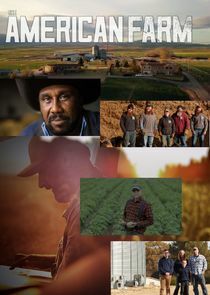 The HISTORY series presents an up-close look at one full year of family farming, told through an unprecedented year on the ground, capturing breathtaking visuals, private moments and personal interviews. With the crops in the ground and hundreds of thousands of dollars on the line, farmers must protect their investment and fight back when their fields are threatened by a variety of pests.